Zipper Jacket with hoodie and draw string made of scuba open cell foam material. Collapsible insulated bottle jacket made of scuba material for 12 oz bottles and longnecks. 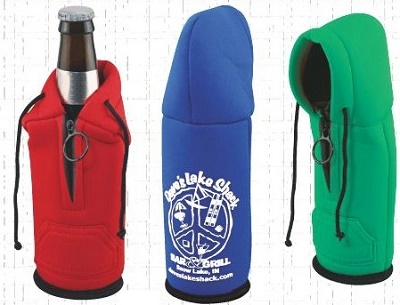 Attached hoodie conceals your bottle. A cool companion that will keep your drinks cold and your hands dry. 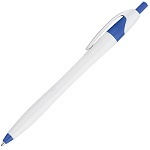 A great give away that will display your company's logo for maximum exposure. Bottle cooler hoodies are available in black, kelly green, red or royal blue. Multi-color imprint not available on Bottle Cooler Hoodies.